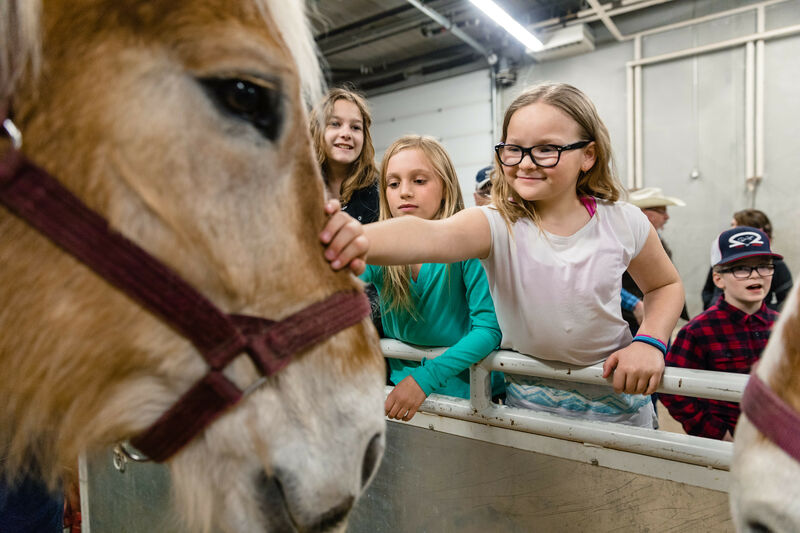 With pumpkins, horse-drawn wagon rides and the crisp fall air, the Community Fall Fair on Saturday, September 30th was a community celebration to remember. 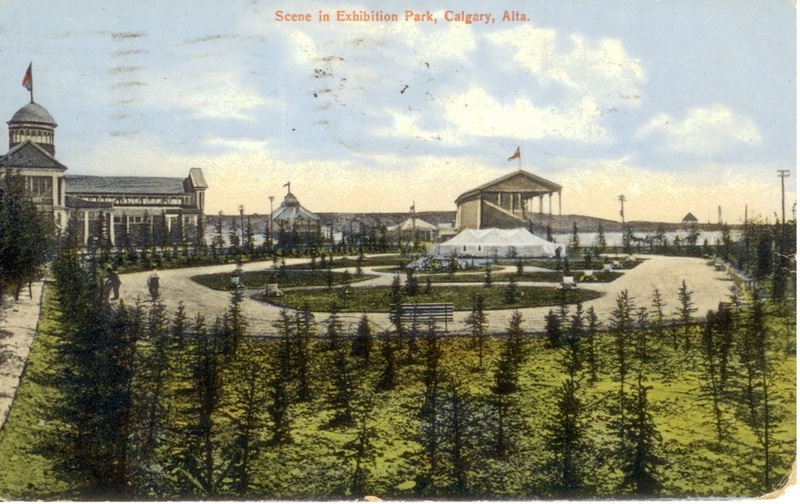 The fair, which kicked off at 10 a.m. served up free pumpkin- spiced pancakes courtesy of the Calgary Stampede Downtown Attractions Committee , while welcoming more than 1,900 fall lovers to ENMAX Park. 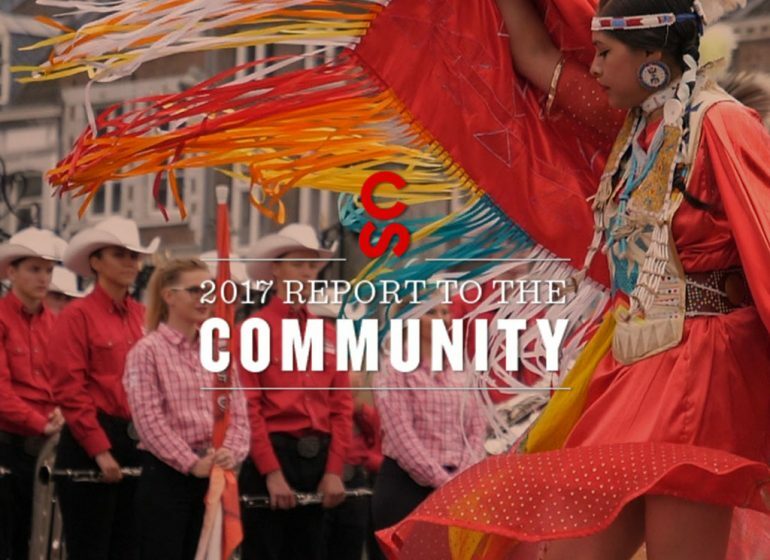 “The 2017 Community Fall Fair was a great success. 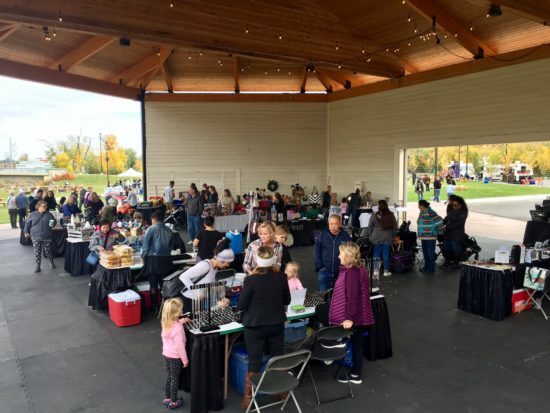 We were overjoyed to welcome so many of our neighbours and friends from the community to ENMAX Park to celebrate the fall season, and take part in all the fun, family-friendly activities,” said Lindsay Weryshko, project manager, Stampede Programming at the Calgary Stampede. 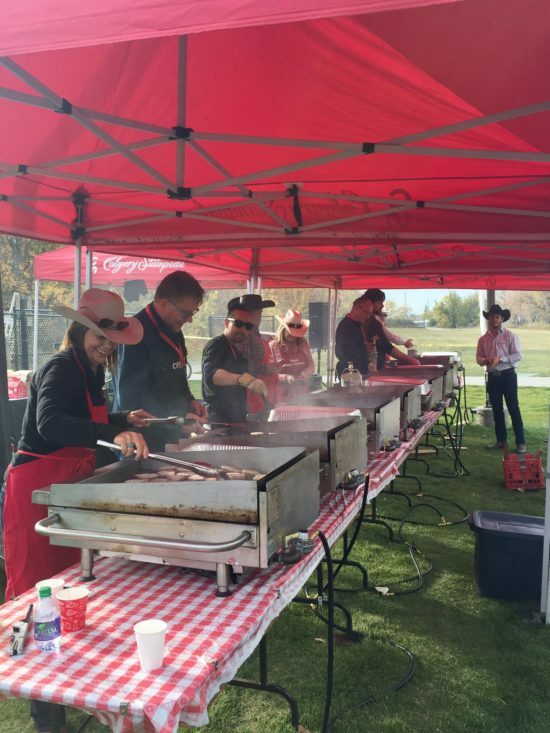 Stampede employee volunteers and volunteers from Cenovus cooked up the pancakes! 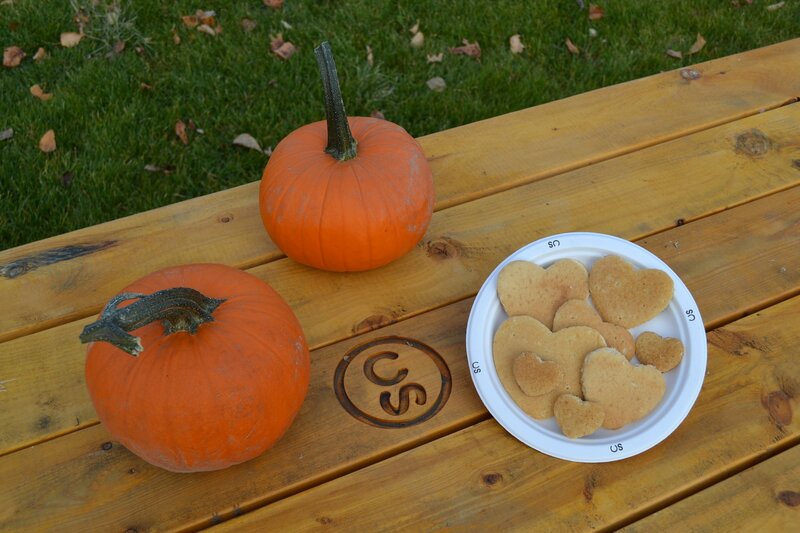 Aside from the tasty pancakes, there were also local vendors, a corn maze, pumpkin decorating, face painting, lawn games and wagon rides. 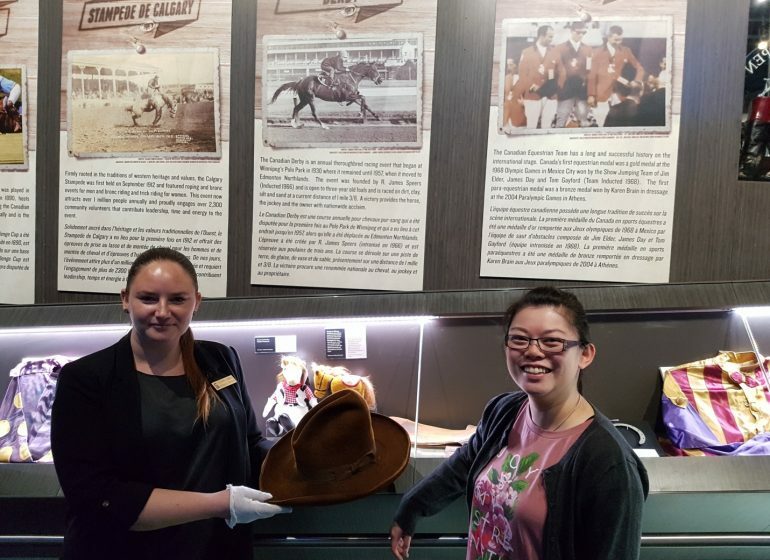 “We are new to the community, so we really enjoyed bringing the kids out for a day filled with fun and we even got to try some bannock, which was a hit with the whole family!” said one guest who just moved to Inglewood with his family. 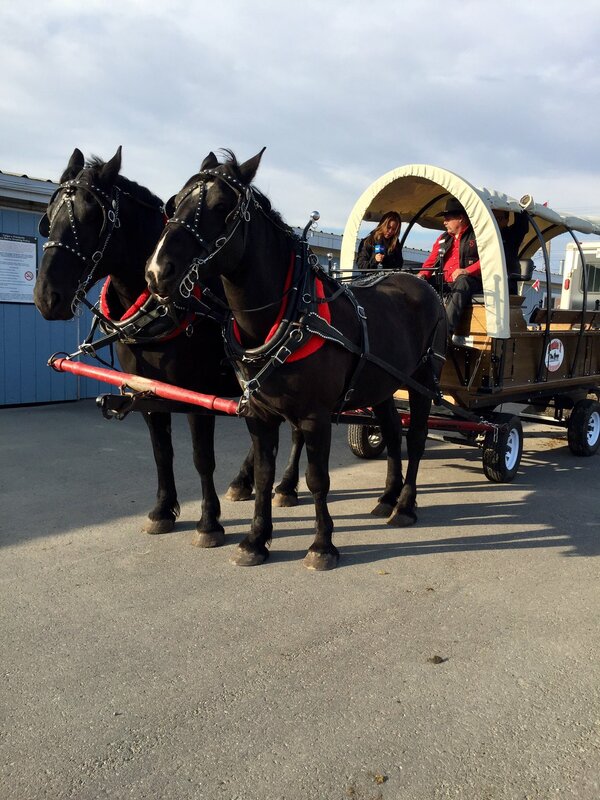 Guests could also enjoy wagon rides! 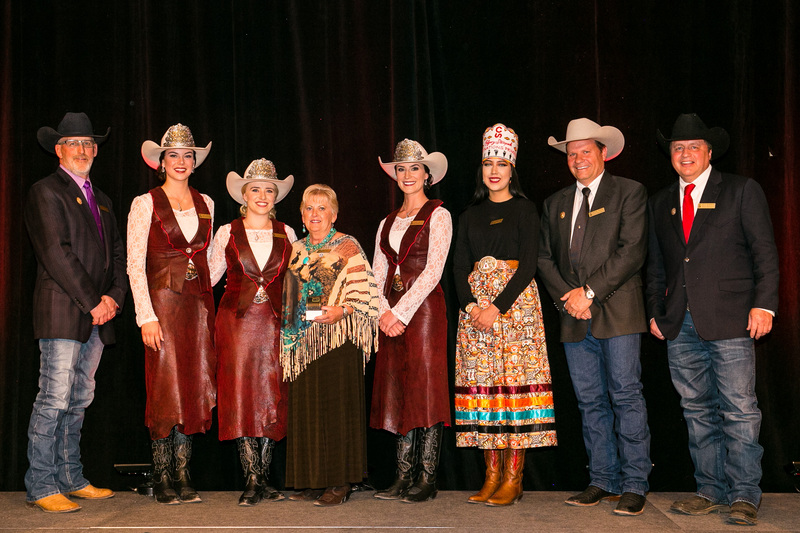 Guests also got to enjoy an interactive animal area ,music of the T. Buckley Trio and Keister Family Fiddlers, a photo booth and a visit with Stampede Royalty. 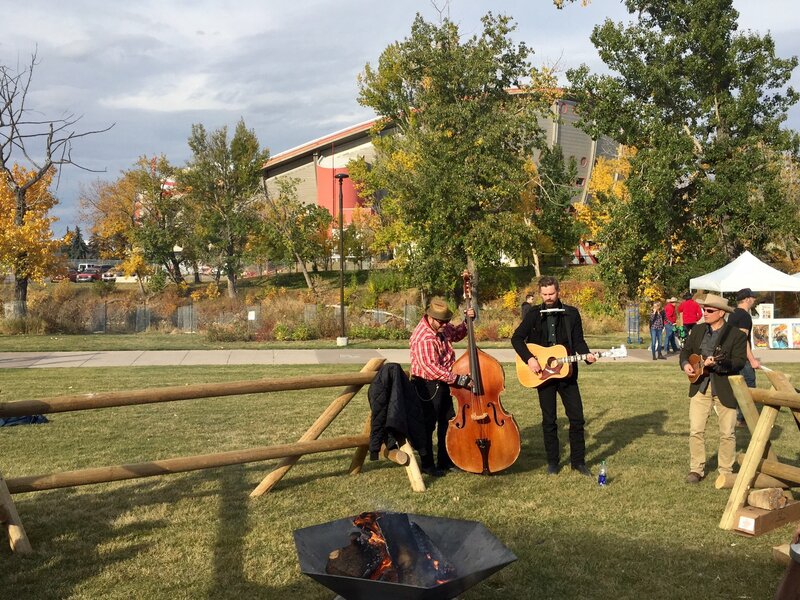 Musicians entertained guests in ENMAX Park! 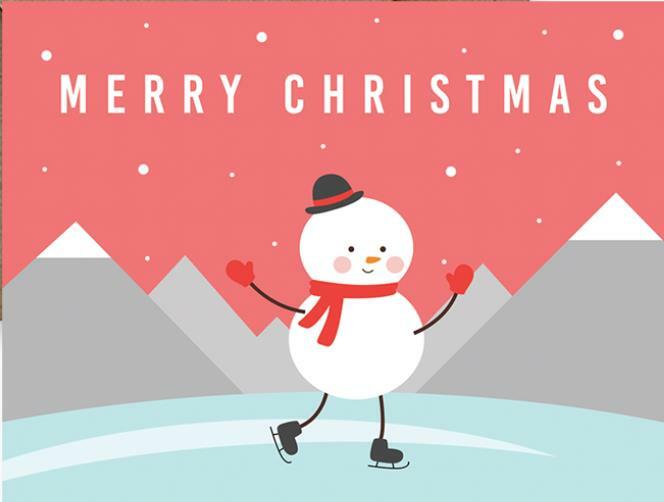 “It was lots of fun and we would definitely bring the kids back next year,” said another guest. Local vendors were excited to be a part of the fair! 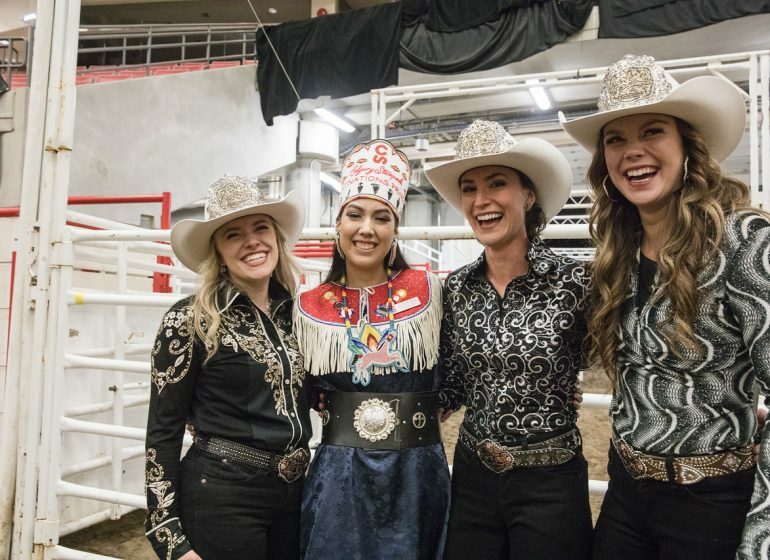 Not only was the fair a great way to welcome fall, but it was also a great way to welcome Thanksgiving and celebrate Stampede’s connections with the community and our neighbours. 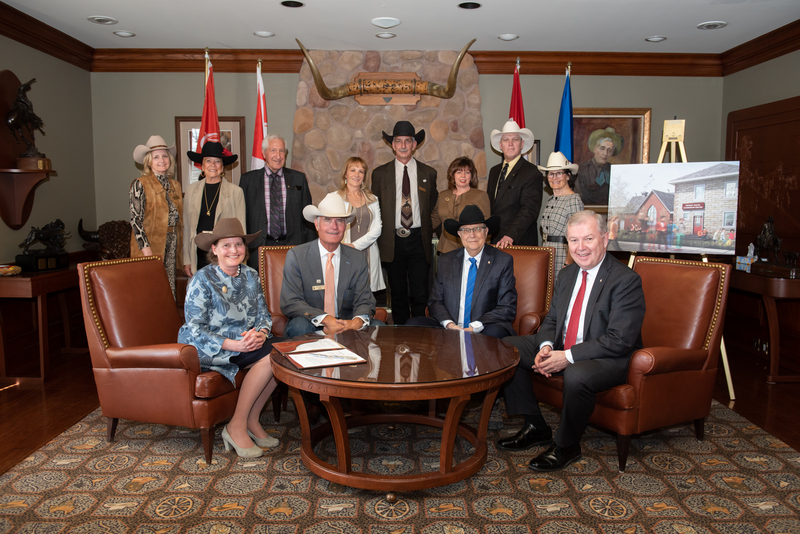 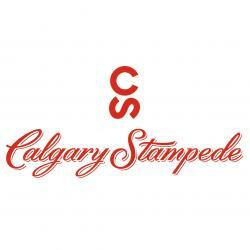 The Calgary Stampede provides extraordinary behind-the-scenes tours during this year’s Doors Open YYC!